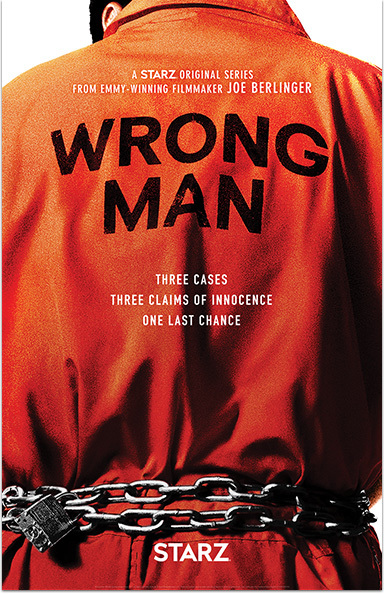 In “Wrong Man,” a series by award-winning filmmaker Joe Berlinger (Paradise Lost Trilogy), a team of esteemed experts re-investigate the cases of three inmates who have been locked up for decades and claim they’re innocent. SEASON FINALE 7/8 at 9pm. Wrong Man. © 2018 Electus Productions, LLC. All Rights Reserved. Starz® and Starz EncoreSM and related channels and service marks are the property of Starz Entertainment, LLC. Visit starz.com for airdates/times. On demand services are included with subscription to Starz and Starz Encore linear television services.